Aqaba has an updated menu. Here's our review of it. Craft Beers apart, this place has some phenomenal cooking going on. Our experience of the Sangria & Seafood Festival. Firstly a mention and thank you to @zomato for their blessings in the form of vouchers for the Sunday Brunch gig by Citibank. After taking a brief look at the options available, A not so typical Sunday Brunch location was selected - Blue Frog. Your mind has these pre conceived notion of a party hub right ? Dim lights, Neon lines and in general chaos. Then you begin to visualize the same space in bright daylight ready for a meal and importance being shifted from music and drinks to food and service. It's quite a transformation to be true. One look at the Sunday Brunch setting at Blue Frog and you're convinced that its gonna be a great afternoon. Live band strumming tunes on guitar and those circular cocoon's filled with groups of people enjoying the food is a quite a comforting sight. Started off with the Tapas bar that features quite some refreshing salad in Chicken, Lamb, Seafood & Pork variations. The hearty lamb shred salad was my pick of the lot since it gave an unrestricted flavour of the meat to the palate followed by some greens and carrots. The Bread & Cheese basket is mildly addictive with its range of breads, buns, crackers, cheese, red grapes and dried apricots. One last mention from the assorted tapas goes to the delectable and pulpy Pumpkin & Dill Shots. 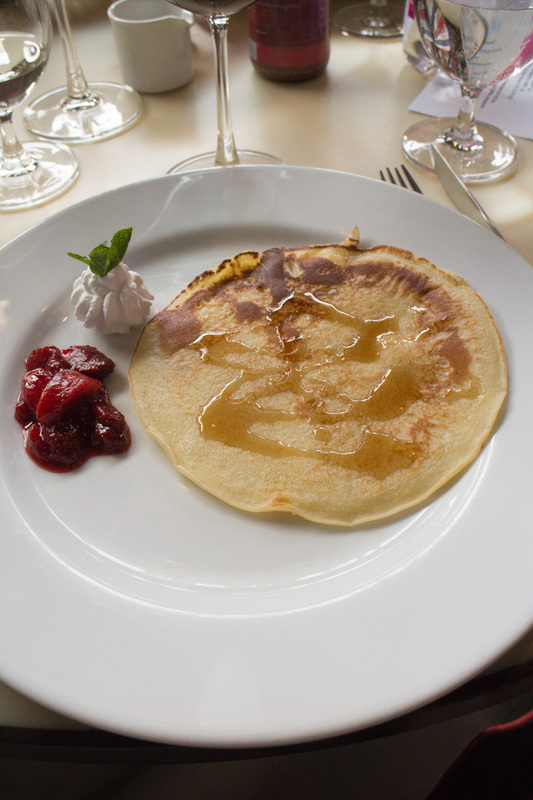 Pancakes, Waffles & Poached Eggs dishes all are well executed with adequate portion size and complimenting compote, cream and sauces. The mains were not too over the top, vastly came with a generic base of zucchini, carrot, broccoli, mash of potatoes and topped with the hero component. The grilled Tiger Prawns were contained with minimal seasoning and tasted moderate. The Chicken fillet too was a descent affair. The one that stood out was the Pan Seared Fish with Orange Butter. 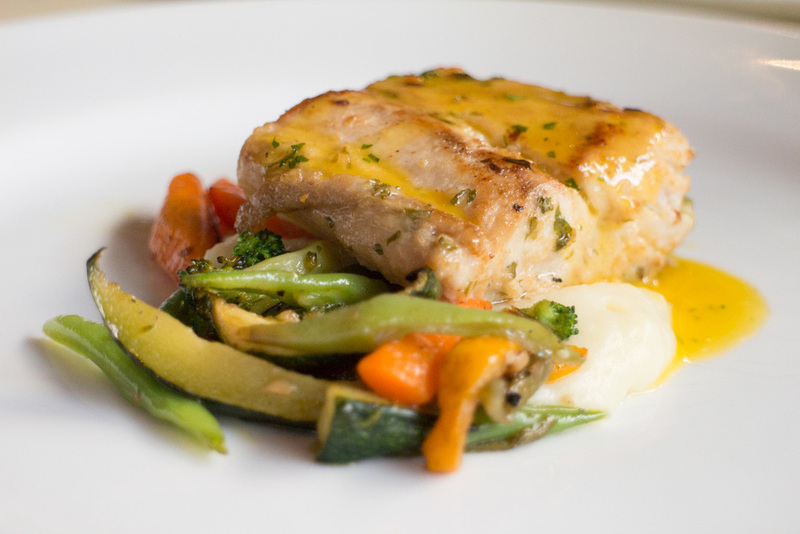 The Basa fillet was cooked to perfect moistness and drizzled with a zesty orange butter juice. Mushroom Risotto was ordered to satiate our desi stomach that craved for rice of some form. Again, Just like the other mains this one too was a descent fare. 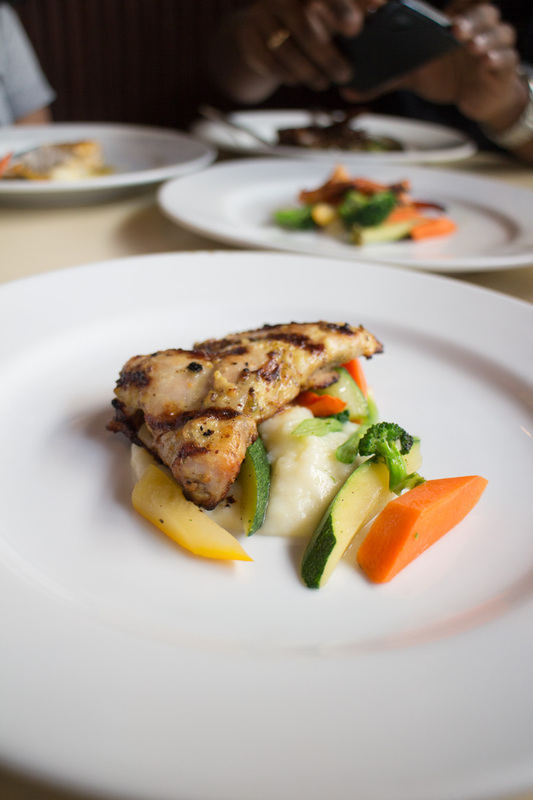 On an average the dishes on order proved to be neutral on satisfaction level. It is a good thing when you actually think about the variety you consume than re-ordering the favourite one yet again. Desserts were the usual suspects of brownie, custard & cakes heavily laced with whipped cream. The sweet selections could have been lesser in numbers yet inviting had they provided Creme Brulee or Molten Lava Cake on order. In all, it was a fun-day lunching at a gig specialist enclosure with live music and diverse spread of consistent quality. At 2500/- per head (with unlimited drinks) this may be a stellar deal for the guzzlers while others may feel a pinch at 2000/- just for the modest food. 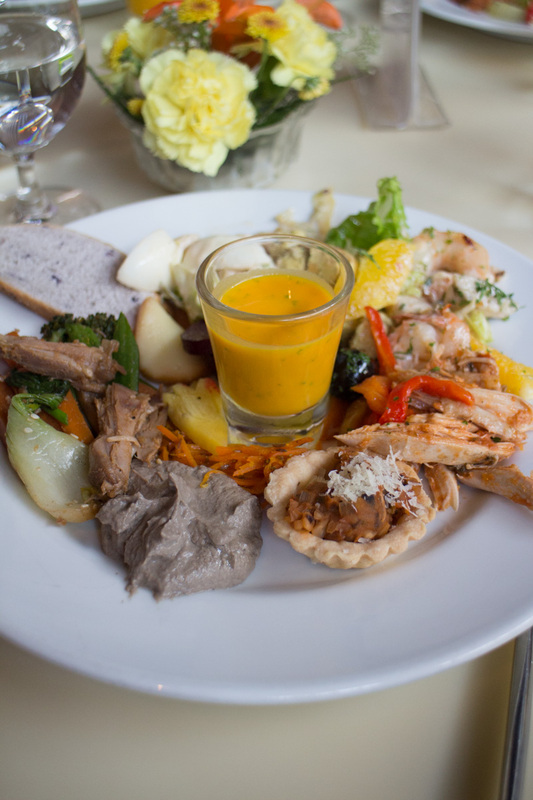 First thing first, Mediterranean cuisine is different from the Middle East / Lebanese cuisine. It's funny that people from this industry have nowadays started to sell Lebanese food as Greek food and vice-a-versa. So, many of us ignorant puppets will believe in the brand if it's marketed or labelled as 'Authentic'. Coming from a family where my father worked in the middle east for all his life and me as kid grew up eating shawarma, falafel, khaboos, vinaigrette pickles, baklava and a lot more as a biannual staple for two months of each year, I can decipher a good Lebanese dish from a bad one just by its looks. I'm not the one to get fooled by fancy earth or hummus coming out of a piping bag. Just like me, I'm sure i speak for a lot many of us who have experienced the middle east and feel sorry it's apathetic rendering here in India. 'Ithaka- Veg Lebanese Kitchen' - 'Ithaka' is a Greek island and 'Veg Lebanese Kitchen' of course means Lebanese ! As I said, it's all in the marketing. They even got the restaurant signage done in the pseudo arabic-english typography. Ithaka sits right on top of 'Riso' - another fully vegetarian eatery, which is flanked by two more vegetarian eateries - Spiceklub & The Rolling Pin. The decor - White floral pattern furnished tall sofas and wooden ceiling planks sets quite a bright and somewhat 90s ambiance. For some reason, they forgot to remove that glass cabin at the extreme corner which looked like it belonged to the back office. Since it was a pre-launch, we were treated to a set menu that showcased the best of what they had to offer. Service began with a bunch of gradient colored mocktails bearing some fancy names and description. Lemon Grass soup and Mushroom Cappuccino were next. Lemon Grass Soup was merely a broth with cut sections of baby corn and carrot. The rustic earthen bowl and spoon presentation did not appeal to me and made quite an uncomfortable experience to go through the bottom of the soup. Bursting the bubble a little soon, but the Mushroom Cappuccino was clearly the hero of the night. Frothy-creamy-rich soup and a lot of warmth is what you get in that large cup. It's the one you would want to be sipping watching a rom-com movie snuggling up with your partner. Full marks to the chef for providing that mini romantic escapade. Appetizers were next. 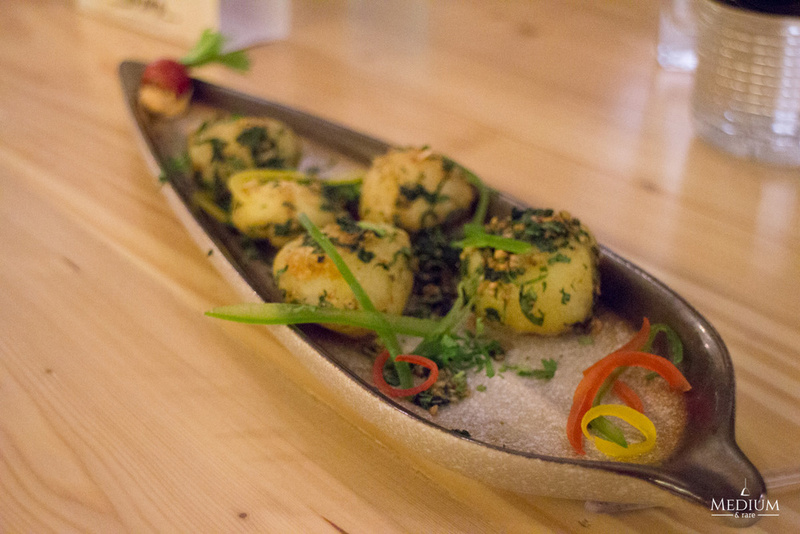 Batata Harra was presented in a long corn leaf jacket shaped dish. Again, Too cheeky and cliché kind of presentation which just overpowers the beauty of the natural ingredients. This baby potato appetizer is a rather uninspired fare. Too many garnishes and not so flavourful base for the potato makes it a forgettable one. Sesame Zucchini arrived next on a half crescent plate. Where is the zucchini was rather my question ? Wafer thin sliced zucchini base with a coat of sesame and veggie topping was a valiant effort to bring the heroics of a rather underrated vegetable. 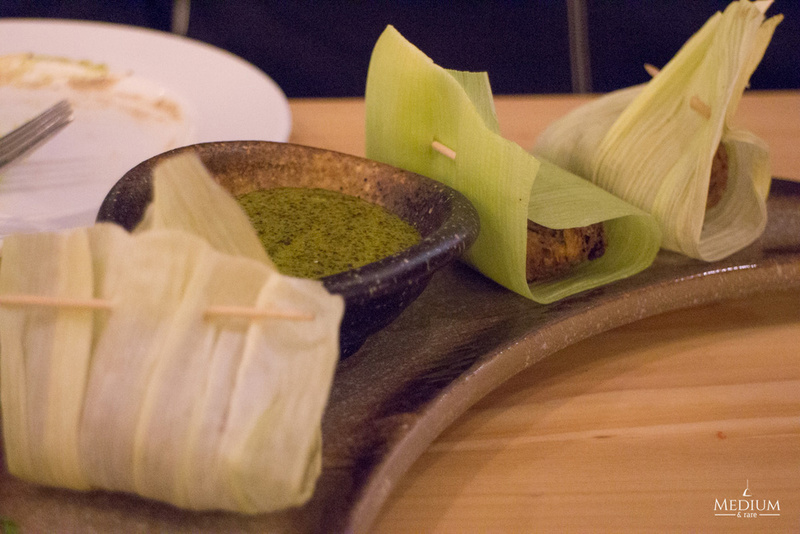 Turkish Kebabs (made of corn & fenugreek) came covered in an actual jacket of corn. Smooth and melt on the tongue types, though it left us wanting more of it. Portion size was rather minuscule. The Water Chestnut & Raw Mango Salad - This one left a fire in my entire palate, wind pipe, lungs and intestine. It is guaranteed to leave you with a blazing burp once done. I had earlier managed to secure one of the coconut mocktail by my side, hence got relief from the inferno soon after. Among the salad my vote would definitely go to the 'Mediterranean Mint Salad' which cooled off my palate in an instant with its luscious mint curd dressing which smeared the French beans and cucumber. Selection of Hummus (clockwise) - Turki, Harra & Traditional. Next up was the quintessential 'Hummus' with Pita. Three variations of Hummus were served - Traditional, Harra and Turki. Traditional was bit alkaline, less notes of Tahini and Garlic than I was expecting. No extra virgin olive oil and paprika garnish on top. The 'Harra' version was an interesting one with colours and flavours from pesto mixture. This one should definitely work among the masses. Hummus Turki felt a lot like 'Baba Ganoush' with abundance of kick from the blended black olives. My set meal had to end abruptly at this point since I was already an hour or more into this dinner and was overlapping my meeting with some carnivorous folks in the suburbs. As I said in the middle of this post it's a valiant effort, but most of the time too dramatized in presentation and a lot illiberal in portions. 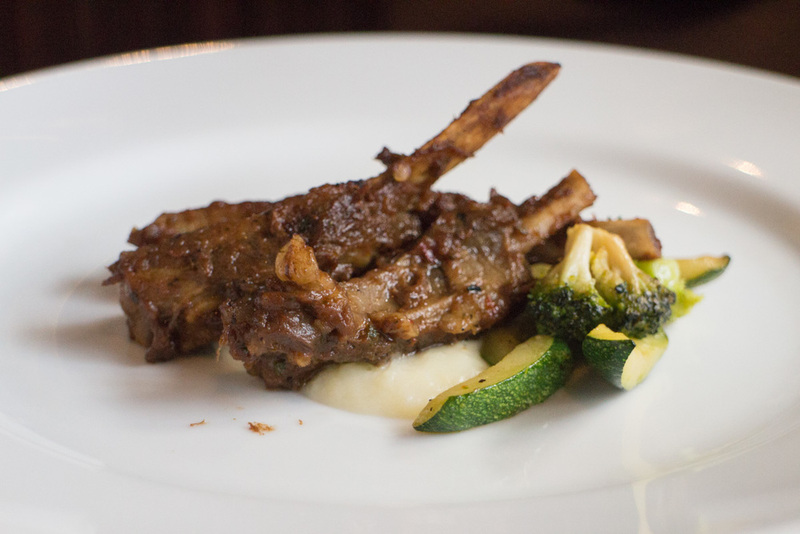 Lebanese cuisine is all about generosity and simple plating, which is clearly missing at Ithaka. Hoping that honest feedback is accepted from these pre-launch dinner and the daily production drill which is under-way is much liberal if still cliché.